SFlow vs NetFlow vs SNMP: What Are the Differences? Effective network monitor and traffic management are vital for ensuring peak network performance. While SFlow, NetFlow and SNMP offer different means to monitor network traffic, a question arises from time to time: SFlow vs NetFlow vs SNMP, which is better? These article will provide some insights into the issue by addressing differences between SFlow vs NetFlow, SFlow vs SNMP and NetFlow vs SNMP. However, the best solution always depends on your network condition and the resources at hand. 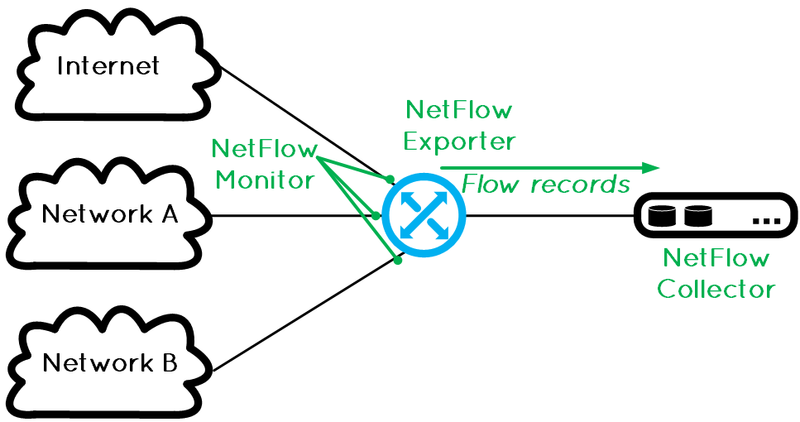 SFlow vs NetFlow, the debate between these two flow protocols has been around for many years. SFlow was developed by InMon Corporation. It is designed to be compatible on many different platforms of switches and network routers, which allows SFlow to grow in popularity. SFlow uses a dedicated chip that is built into the hardware, which removes the load from CPU and memory. SFlow is sample based, so accurate representation of 100% of the traffic per interface is nearly impossible. Then what is Netflow? NetFlow started as a proprietary technology developed by Cisco. It is presented in Cisco switches and routers that enables the network devices to export IP Flow data to a NetFlow collector/ NetFlow analyzer to be collected, processed and further dissected. NetFlow can be nearly 100% accurate at representing who is communicating through the device while having a very small impact on CPU. If your network supports a multiprotocol environment, you might want to consider SFlow protocol and switches. If your network supports only IP based traffic, a NetFlow switch will do. If you want 100% accuracy on network traffic and accountability, a NetFlow capable switch could be the better fit. What is SNMP vs xflow (SFlow/NetFlow)? We’ve known that both SFlow and NetFlow can be used to gain network visibility and to measure bandwidth usage. They are also the most powerful monitoring option for high traffic networks and advanced users. On the other hand, SNMP (Simple Network Management Protocol) is the basic means of gathering bandwidth and network usage data. Monitoring the bandwidth usage of routers and switches port-by-port is the most common use of SNMP, as well as monitoring device readings such as memory, CPU load etc. SNMP is commonly recommended for most standard situations, since it does not support differentiation of traffic by service/ protocol. SNMP vs SFlow: SNMP is proved to be a very popular network management protocol, mainly being used for network monitoring. Regarding performance management on routers/switches, especially in a multiprotocol case, a layer independent SFlow should be the choice to collect, monitor and analyze data traffic. SNMP can be used for real-time (i.e. every second) and although NetFlow provides beginning and end times for each flow, it isn’t nearly as real-time as SNMP. NetFlow tells you who and with what is consuming the bandwidth, it is also much more verbose than SNMP and therefore NetFlow exports consume much more disk space for historical information. SNMP can be used to collect CPU and memory utilization and that just isn’t available yet using NetFlow. SFlow vs NetFlow vs SNMP, the differences are hence clear: SNMP for standard network monitoring whereas SFlow/NetFlow for high traffic network traffic collection, monitor and analyze. As for SFlow vs NetFlow, consider SFlow enabled data switch for multiprotocol network and NetFlow for IP based traffic that demands for improved accuracy and scalability. 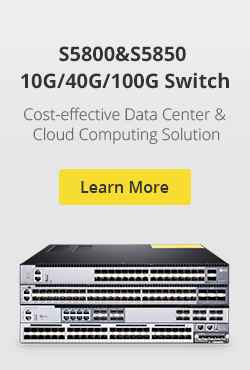 Vendors on the market are shipping out switches that support Sflow, NetFlow and SNMP, so when purchasing your next switch, a best of breed solution is the ideal investment. 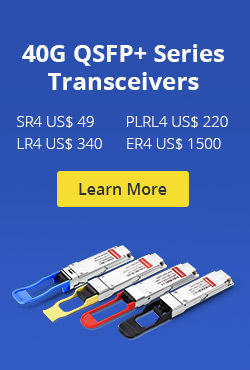 FS.COM offers quality copper switch, fiber switch and Gigabit PoE switch including 10Gb Ethernet switch, 25G Ethernet switch and 40/100Gb switch. For more information, feel free to reach us via sales@fs.com. This entry was posted in Network Switches and tagged 10gb ethernet switch, fiber switch, gigabit poe switch, sflow vs netflow vs snmp, snmp vs netflow on July 20, 2018 by Aria Zhu.